The Resource Centre Tilbury Place, which supports over 900 local community groups every year, is celebrating its 40th anniversary. 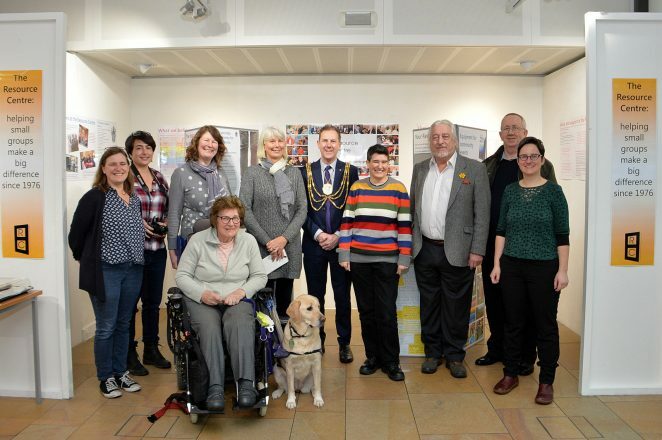 The Resource Centre is one of 27 charities currently being supported by the Mayor of Brighton & Hove, Councillor Pete West. For four decades the centre has helped local volunteers to run activities and events for their own communities. Kate Page, who has worked at the Centre since 1982, said “Small groups create support networks and give people a sense of belonging, which cannot be matched by any top-down large organisation”. For further information and details of the services offered by the Resource Centre please visit their website The Resource Centre.